What Are The Most Dangerous Dog Breeds For Dog Bites? The argument over various dog breeds' level of danger or risk of biting or attacking a person is a very controversial issue. There are some who believe quite strongly that certain dog breeds have innate traits of aggression that make them more likely to inflict harm on human beings than other types of breeds. Opponents of this view state that a dog’s propensity for aggressive behavior is dictated primarily by the dog’s owner or handler and how that dog was trained and cared for early in its life. There is data to support either argument, and we are not here to get involved in the controversy. What we are here to do is shed some light on the statistical dog bite trends involving some of the more common dog breeds in the United States. On the one hand, there are certain dog breeds that appear to have a higher incident rate of inflicting harm on people, including children. 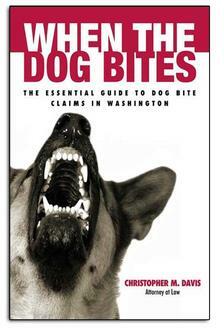 According to Merritt Clifton, editor of the newspaper publication Animal People, the breeds of pit bull terriers, Rottweilers, Presa Canarios and their mixes accounted for 74 percent of reported dog bite attacks from 1982 through 2005. 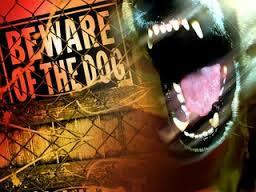 Sixty-eight percent of those dog attacks involved children. Following these breeds, the next group representing the highest occurrence of attacks included German shepherds, chows, and Akitas. But the question remains whether these breeds were responsible because of some innate characteristic associated with the animal or because they were more likely to be groomed and trained by their owners to act in an aggressive manner. That's a question that is unlikely to be answered, as once a dog has developed aggressive behavior or a propensity for violence, it's extremely difficult to reverse that behavior. The only way to "rank" the breeds which pose the largest threat to humans is based on their statistical frequency of being involved in a dog bite or attack. Keep in mind that many dog bites are not reported, and since this list is based on reported incidents they may be incomplete. Statistically speaking, the following dogs tend to naturally be more aggressive than other breeds and may require special training and handling in order to keep family members, guests, neighbors and the general public safe from attack.